Meet Hawkeye, our Bayhawks mascot! Favorite Food: Hawkeye loves to eat all sorts of food including Rattlers Rotini, Sautéed Outlaws, Cannon Cookies, Launch Lasagna, Machine Macaroni, Hound Ribs and his favorite meal is Lizard Soup. Favorite Drink: Hawkeye loves to drink Powerade. 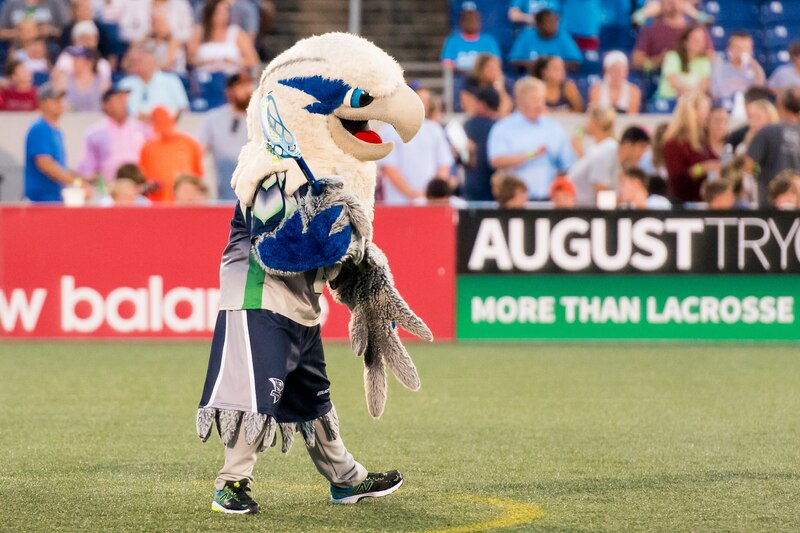 Hobbies: Flying, watching the Bayhawks win, making new friends in the Fan Zone, SWOOPING. Biography: Hawkeye hatched near the Chesapeake Bay. He was introduced to the game of lacrosse when he was flying around and noticed some people running around the Navy-Marine Corps Memorial Stadium with lacrosse sticks. He became very interested in what the people were doing so he flew a little closer. It was love at first sight as he instantly became attached to the game of lacrosse and started trying to learn how to play. 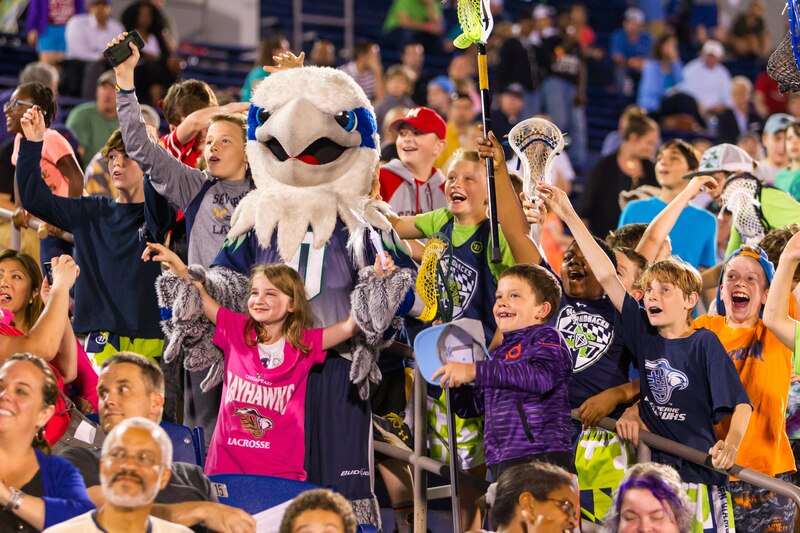 When Hawkeye learned that Major League Lacrosse had a team in the Chesapeake Bay region he became the team’s #1 fan, and was recruited by the Bayhawks in 2008 to be their mascot. This made Hawkeye so happy, he promised to show up to every Bayhawks’ home game! Now whenever you come to a Bayhawks home game, you can meet Hawkeye and become one of his new friends! 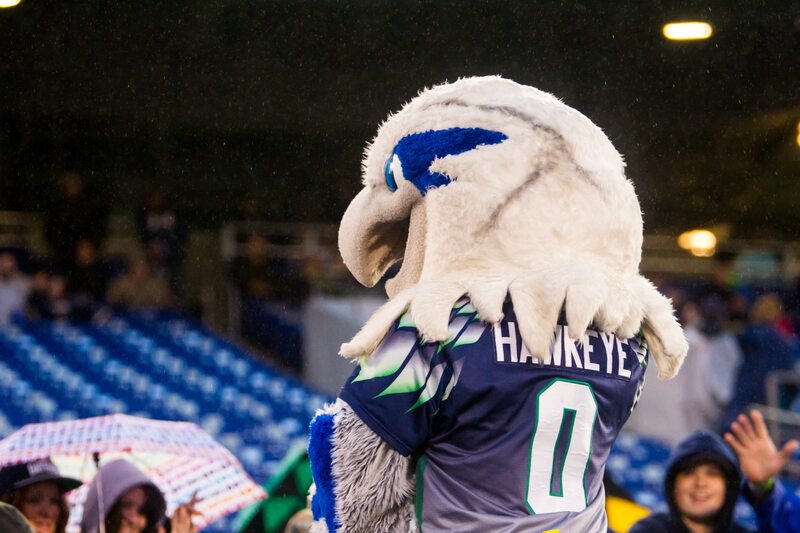 While Hawkeye is the team’s biggest fan, he can’t root the Bayhawks to victory by himself. He needs you to help him! 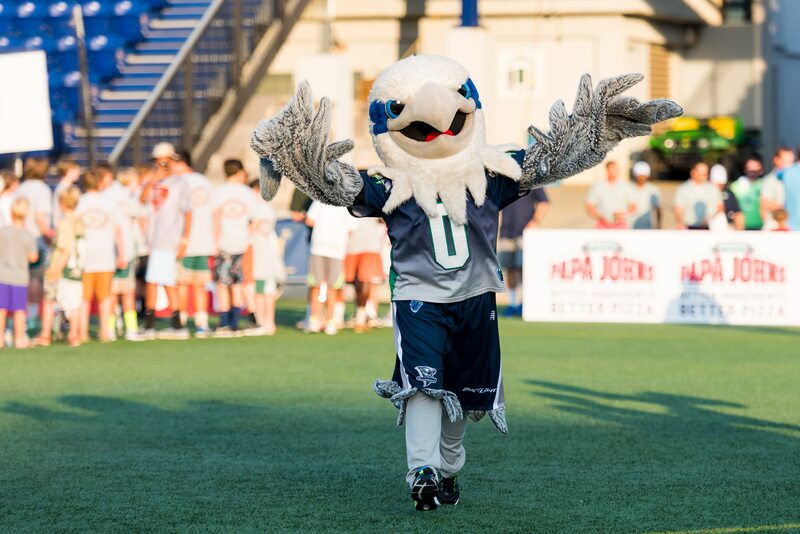 So come out to all the Bayhawks home games and help him cheer the Bayhawks to victory!